Gentle readers, the first German Park of the season is tonight. 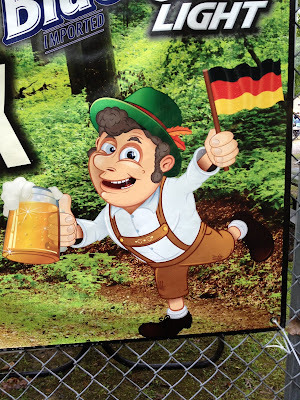 If you're looking to polka, drink beer and eat wurst, you should check out German Park. You will be glad you did. The finished beer bucket pyramid.